Coming September 29, 2018. Would you like to visit Alcatraz? Then grab your wetsuit and hop in the Bay! Join the folks at ODYSSEY for a friendly open water swim to Alcatraz. It’s about 2 miles from Alcatraz Island to the St. Francis Yacht Club at the marina in San Francisco. You should be a relatively strong swimmer, and the water may be cold, so many people wear a wetsuit, but it’s not required. It’s an early morning swim, so boat traffic will be light, and there will be kayakers available along the route to make sure you’re safe and supported, if needed. 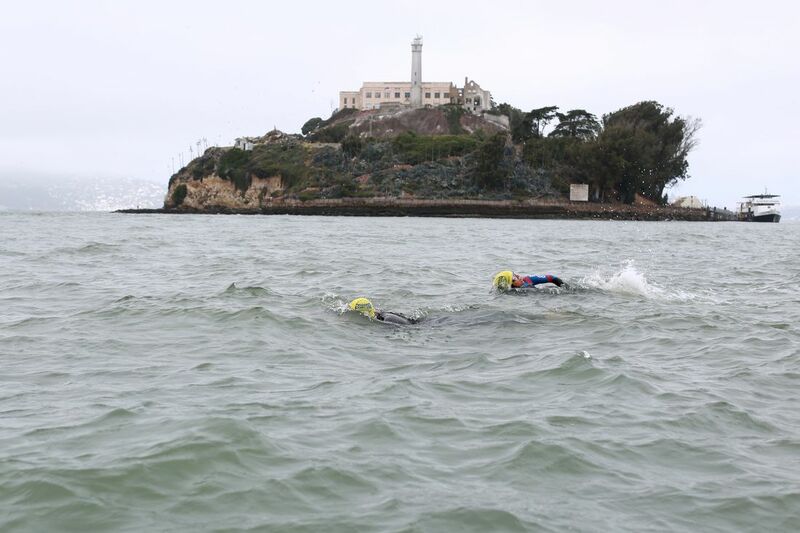 Plan your escape from Alcatraz with the ODYSSEY Alcatraz Swim!